Pros: I'm not a pro, how do I get DalTile to sell to me? Sorry to invade the pro hangout, but I need some advice. I'm sure at least some of you have gotten your start the same way. I'm a consumer and only work on my own homes or the homes of friends. I've probably laid a thousand sq ft of (well-backed, well-set, level) tile this year. I have a consulting business here in Texas, but it's not tile-related. 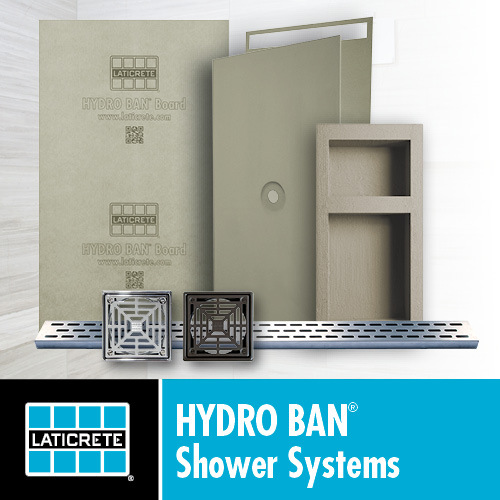 How can I convince DalTile (or some other distributor of Laticrete products) in Houston that I'm worthy of being sold to? When I've gone in or called in the past, even just saying "Yeah, I need a pallet of laticrete 317, grey, a couple commercial units of spectralock pro in x color, and half a case of latasil in the matching color, cash account" they've said that they won't do cash accounts and won't sell to anyone without a Texas contractor's license. I know that's not true because I was watching fly-by-nights walk in and out of there as I was getting rejected, paying in literal cash. Is there some special trick or handshake I need to know? Alternate suppliers I can try? I'm laying over DITRA and I'd be happy to use Mapei (or any decent unmodified, really -- but my Lowe's has switched over to the "no name" Mapei bags, not even Keraset) -- I just need to not be paying double the price for it, I need it in stock, fresh, and in quantity, and I need to be able to get a price ahead of time without getting the cold shoulder because I'm not doing entire commercial quantities. Any ideas or suggestions that don't involve a four-year apprenticeship? they also have flexbond for 25.00$ or so. All you need is a business account which requires a dba to set up a account at dal. I'm with Amos, go to Home Depot and get Versabond. I bought a pallet and they discounted it after 20 bags. Ask when ordering what number of bags for contractor pricing to kick in. Don't take this the wrong way but it is good to hear that Dal will not sell to you. Our initial investment to commit to Dal was 2000 in displaying merchandise not to mention the updates. my competition one hour away committed to 30,000 to dal program. Yes this is mainly tile merchandising but they are protecting the guys who day in and out spec and push their products. Again don't want you to take my post the wrong way. Good luck with your project. Success is a ladder that cannot be climbed with your hands in your pocket. On another note y'all coming to Miss State in StarkVegas for the game? And welcome to the SEC. I dream of a better tomorrow, where chickens can cross the road without having their motives questioned. Walk in and act like you own the place, I dunno mine sells to anyone, economy is bad they want their money. Lump: Definitely don't take it the wrong way. I understand the commitments that retailers make to sell and support a brand. I'm not buying *tile*, though, I'm buying ancillary products that Dal is a distributor for. I'd totally understand if Laticrete had a warehouse and wouldn't sell to me direct. I should point out that my "business," if I have one, beside making my own homes comfortable, is "helping" people in my generation who didn't grow up with a handyman for a father, but who have purchased homes in need of some TLC during the government incentive periods. These are people who could not afford your services... in fact, they can't afford anything but DIY. I help my friends and people who are recommended to me make good choices (e.g. travertine shower = bad idea if you're on a budget) and then provide the tools and experience to get them started on their own DIY projects. I'm not taking money out of anyone's project. The median price of the homes my friends own is about 90k. We're poor 20somethings. I just happen to have accumulated/inherited a ton of tools and knowledge, and I've learned more by hanging around places like this website. I'm semi-deadset on laticrete because they've got the only products i haven't had flat-out failures with. I'm fully aware I'm not a pro, but every laticrete product and every schluter product works for me every single time I've used it without hassle. I'm willing to pay a premium, just not as big a premium as the local shops want to drive the stuff up 2 hours from Houston. I can pick it up in Houston myself if I can find someone willing to sell to me. Custom/CBP materials have ruined more of my tasks than they have helped. Mapei... the tradename Mapei stuff is fine, the stuff they sell at big box stores is like government cheese. What's weird is that despite all the hacks in the tile business, I have no problem whatsoever walking in to an electrical wholesaler and buying products I have no right to buy and that are flat out dangerous if installed incorrectly. "I need 6 4" IC can lights, a pair of 15 amp AFCI square-D breakers, 2 moisture resistant trim sets for the can lights and four white trim number X, a 500 foot spool of 12-2 romex, and a box of ground screws." Boom, I'm out the door at wholesale prices. Same experience in my actual trade, where I end up occasionally doing a bunch of low voltage work. "10 thousand-foot boxes of cat6 pvc, a case of panduit keystones, wall plates, patch panels, low voltage boxes, please. Email the estimate to my boss and he'll respond with a credit card number." "Here ya go." I have great relationships with my electrical distributors, my plumbing distributors, my paint distributors, my Lowe's pro desk, and my lumberyard pro desks. (84, Clarke's, and McCoy's). I have commercial cash accounts and some credit accounts at all those places. It's only the tile world I can't seem to find a solid supplier for. I'm not even asking for discounts, although I sometimes receive them. I'm happy to buy at retail, just not retail + 50-100% markup. I suppose I'll try a few other Dal & Merazzi warehouses or retail outlets and see what prices and service I get ... I'm lucky in that I'm flexible on timing with this. Given my experience with the other trades, I expected to be able to walk in with a sole prop tax ID and part numbers and have them sell to me as long as I wasn't wasting their time. Last edited by karlkatzke; 09-27-2012 at 10:55 PM. Reason: Added paragraph about what I do with these materials. Sometimes exchanges happen out in the parking lot of my Dal, at the counter even. Might just ask a guy going in to buy it for you. You need not know his price, and he might make a few bucks off the transaction. You say you are happy to buy retail, yet you are here asking to buy wholesale because retail mark up is too high. You are in fact trying to cheat the system, It is set up that way for a reason. please respect that. Last edited by precison_tile; 09-28-2012 at 03:47 AM. Sorry, man, but I have to agree with Lump and Precision tile. It's that way for a reason, now excuse me, I have to go pick up 2 bags of Laticrete 4XLT thinset @ Dal on my way to work. Now excuse me,I need to confirm a delivery w Daltile for over 3000 sq ft and a pallet of XLT!! The apprentice rocket scientist was having a hard time programming the launching sequence.His professor watched impaitently and said,"C'mon its not tilesetting!!!"